Racing Beat's fully assembled Stainless Steel Braided Hose Set replaces the original factory oil cooler hoses on the 2004-2008 RX-8, Manual Trans only. Costing much less than Mazda replacement units (over £600 for the complete Mazda set! ), the Racing Beat Oil Hose sets will meet the demands of both street and race. Simplify your oil line system by replacing the original EIGHT (8) factory lines with the streamlined Racing Beat kit, which contains only the three (3) most critical lines - 1) engine out-to-cooler, 2) cooler-to-cooler, and 3) cooler-to-engine in. The Mazda factory lines combine both rigid and flexible tubing, and include ten (10) mid-hose connector fittings. Replacing this complex combination of hosing and connectors with a simplified performance-based set eliminates possible areas of leakage during racing and high output applications. As the old saying goes, "Simple is better!" 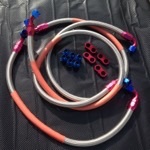 Produced in-house at Racing Beat using Earl's Auto-Flex stainless steel braid-protected synthetic rubber hose and featuring an inner liner of synthetic rubber, including partial cover of stainless steel braid embedded into the liner during manufacturing. The hose liner is then bonded to a outer protective sheath of stainless steel wire braid. 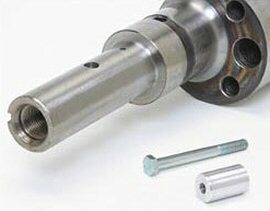 Precision-machined aluminum Auto-Seal and Swivel-Seal hose ends ensure a secure and superior seal. Each line is pressure tested by Racing Beat at the end of the assembly process. 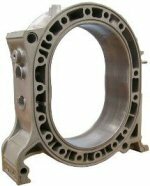 Unlike earlier rotary applications, replacement of the oil lines on the RX-8 application requires substantial labor effort and is best undertaken when the engine has been removed from the vehicle. Although more challenging due to limited access, this project can be undertaken with engine in the vehicle, just allow adequate time to complete the process. With the engine in the vehicle this is an involved project that can't be rushed! It has become an increasing problem as these cars age that the factory oil lines are corroding and leaking oil, the usual point for these line to start leaking is just in front of the front wheels behind the wheel arch liners. Depending on severity of the leak this could cause anything from an engine failure due to loosing your oil to an accident as of covers your front wheels. 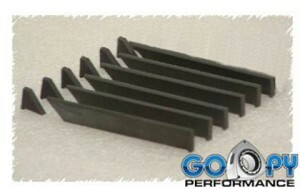 The Racing Beat lines eliminate these points of corrosion and will not require replacement again. Shipped complete with all required oil lines, oil cooler adapters, engine adapters, bracket hardware, protective end caps, and fully detailed installation instructions. This kit if for 2004-2008 models only and will not fit the later R3 version. a separate kit is available for this model. Please allow up to 14 days for delivery of these oil lines if they are not in stock in the UK. Functional as a secondary oil cooler, GReddy high-capacity Oil Pans maintain more constant oil temperatures via increased volume of oil and the improved cooling efficiency of the thick-walled cast aluminium construction. They also include specially designed interiors to keep the oil at the oil pump pick-up for engine reliability, and additional drain ports for the installation of turbo oil drains etc. This oil pan offers an increased oil capacity over the stock oil pan, will not corrode and leak like the OEM pan, and with its superior cooling efficiency of the finned (heat sync style) cast aluminium construction this oil pan is a superb upgrade for both forced induction and N/A series 1 RENESIS engines. Please allow up to 28 days for delivery at times when this item is out of stock. 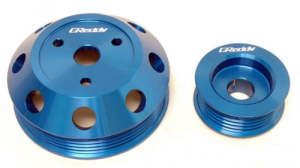 Essex Rotary brings you our new lightweight under drive pulley Kit replaces both the Alternator and Water Pump Pulleys reducing the potential for Water pump cavitation and over working the Alternator at the high RPM ranges the Rotary Engine can operate at. Each kit comes complete with a replacement drive belt made by Gates to suit your new setup as the OEM size will no longer fit. This 2 piece kit has the same size water pump pulley as our 3 piece kit however the alternator pulley is slightly larger again. 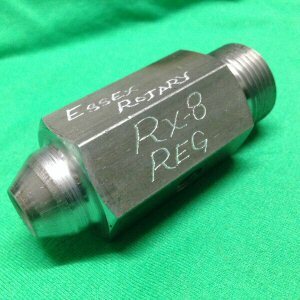 Essex Rotary brings you our new lightweight under drive pulley Kit replaces all three pulleys, Main Crank Pulley plus Alternator and Water Pump Pulleys reducing the potential for Water Pump cavitation and over working of the Alternator at the high RPM ranges the Rotary Engine can operate at. Each kit comes with 2 new alternator/water pump and air conditioning drive belts made by Gates to suit your new setup as the OEM size belts will no longer fit. This 3 piece kit has the same size water pump pulley as our 2 piece kit however the alternator pulley is slightly smaller in overall diameter. the Mazda RX-8 is well known for its high-revving rotary engine and well-balanced chassis. 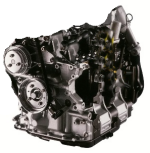 An overheating engine can result in a ruined track day or a damaged engine. A Mishimoto racing thermostat is the ideal upgrade for improved cooling reliability and efficiency. Mishimoto racing thermostats promote greater cooling efficiency by significantly decreasing high engine temperatures. 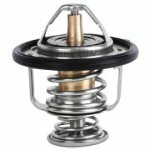 Once the engine is fully warmed up, the Mishimoto low-temperature racing thermostat will open at a lower temperature (76°C) compared to standard thermostats (82°C). 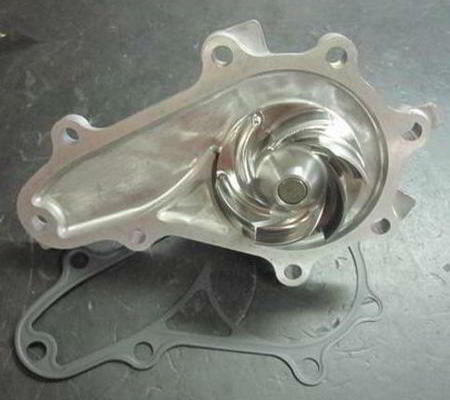 This allows coolant to flow through the engine sooner, thus reducing and maintaining cooler engine temperatures. As with all our products, this thermostat includes the Mishimoto lifetime warranty. >GReddy E-manage Ultimate with wiring adapter means no wire cutting to your stock ECU harness. The turbo kit is set to run 5 psi out of the box. This is a safe boost level. With other fuel system support and engine modification, the turbo is good to run up to 20 psi with a boost controller. The E-manage comes pre-programmed. GReddy claims 60 rear wheel HP gain from the turbo kit out of the box. 60 rear wheel horsepower was acheived on Greddy's test cars. The actual horsepower will vary from car to car. Further tuning of the E-Manage Ultimate with the E-manage laptop software may result in improved HP gain. Essex Rotary recommend this kit is professionally installed and tunes but to the nature of converting an N/A RX-8 to Turbo. some applications may require revision of the original installation instructions. Essex Rotary are pleased to announce our latest product. These braided stainless steel oil hoses are an ideal replacement for the standard hard line/rubber hose combo fitted by Mazda that is prone to corrosion, causing oil leaks. The main tell tail sign for this is oil patches in the area in front of the front wheels, wet/oily front wheel arch liners. Our stainless hose kit is constructed from high quality AN fittings and stainless braided oil line. the kit also includes all fittings and hose brackets required to install your new oil lines. 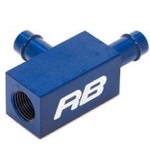 The Racing Beat-engineered Water Temperature Sensor Adapter for the 2004-2010 RX-8 allows for easy installation of a sender unit for most popular aftermarket gauges (3/8-inch female pipe). 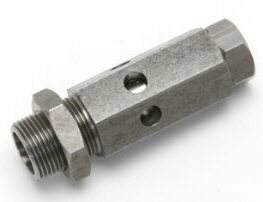 The machined-aluminum adapter will accommodate either mechanical or electrical senders. The adapter mounts on the relatively easily accessible heater hose in the engine compartment and can be easily installed in just a few minutes. (This heater hose has continuous coolant flow-through during engine operation.) Includes mounting hardware and installation instructions. Gauges and senders are not included. Black Halo Racing Accept No Substitutes! ﻿﻿﻿Keeping in the Black Halo Racing tradition of offering the finest original products for your Mazda RX-8, here is the Performance Motor Mount set which is intended to alleviate one of the most frustrating issues plaguing the Mazda RX-8; weakening/collapsed OEM motor mounts. When the OEM motor mounts become weak the transmission shifter will start to annoyingly shake, extreme vibrations are felt within the car, and the driver will experience throttle delays/lack of response. The BHR Performance Motor Mount set will solve these problems and it will do so with greater longevity than the factory motor mounts. Note; due to the design of these mounts as compared to the OEM units, there may be some vibrations felt at certain RPMs. The motor mount housings are billet aluminum, anodized black to match the appearance of the rest of Black Halo Racing's original product offerings, and have the "BHR" logo milled on them. The pre-assembled bushings are equally suited for use on the street or on the racetrack and cause minimal changes in cabin NVH (noise, vibration, harshness). The Black Halo Racing Performance Motor Mounts come with everything needed to perform a comprehensive motor mount swap on your Mazda RX-8, they install in the same fashion as do the OEM motor mounts, will last substantially longer than the factory units, and fit all versions of the Mazda RX-8. 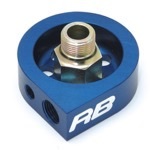 For racers concerned with rules compliance; the OEM mounts weigh 1 lb., 13 oz. each while the BHR Motor Mounts weigh 2 lbs. each. Aids in removing micro air pockets (foaming) from oil returning to the sump from the engine. Helps prevent oil surge in high "G" cornering. 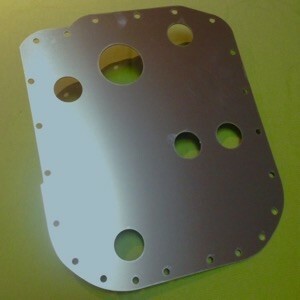 These production plates are the next step on from our early hand built units we tested. Made from high quality Aluminium. In stock now and ready to ship. We are able to offer these Genuine Mazda Rx-8 Engine Mounts Please note they are sold individually. The original mounts are known to fail, especially right hand side, due to the heat radiated from the exhaust manifold located so close to the mount. Please remember these mounts are sold individually and are handed so please select the correct side for your desired needs. 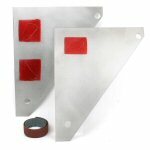 If purchased as a pair we can offer combined shipping on these mounts. 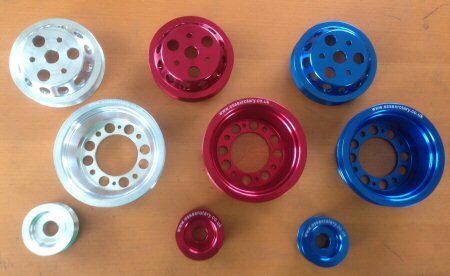 Greddy Lightweight Aluminum Pulley Kit made from billet aluminum and anodized in blue, Greddy Pulley kits reduce rotating mass. Its blue anodized appearance also dresses up the engine bay with show quality finish. Please note that delivery may take between 4-6 weeks if not in stock at time of ordering.